Plant-based diets and foods have been touted as one of the biggest food trends of 2018. Here's you should make the switch and tips to do it in a healthy way. The demand for vegan products has gone up in recent times. It's not easy to switch from a meat-based to a plant-based diet. Focus on getting all the nutrients when transitioning to a vegan diet. As awareness about animal cruelty and animal rights is spreading among the younger generations, more and more people are wanting to the plant-based diet way, substituting meats for green sources of protein. This is why meatless 'meat dishes' like faux meat burgers and faux fish are predicted to be big trends in 2018. 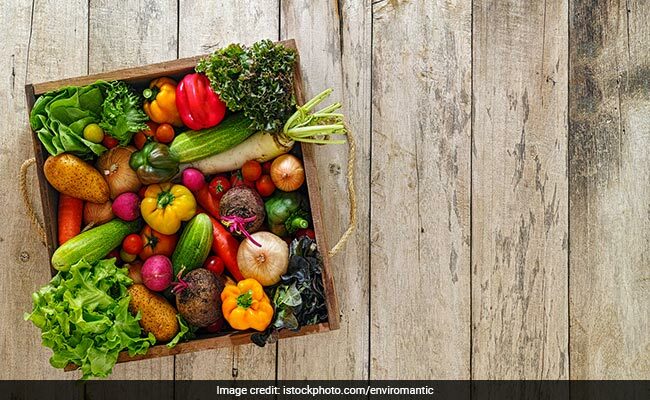 Although the vegan and strictly-vegetarian diets still remain unpopular with a vast majority of people across the globe due to issues of access and availability, there is a growing demand for 'cruelty-free' food products. A lot many celebrities have also endorsed the vegan diet and vouched for the health benefits of eliminating meats and dairy from their meals. The benefits of a plant-based diet are manifold. For one, you throw out processed foods completely when you eat strictly plant-based diet, which naturally improves your sense of well-being. Plant-based foods are also low in saturated fat and nutritionally very rich as it has all the essential vitamins and minerals that the body needs for proper functioning. 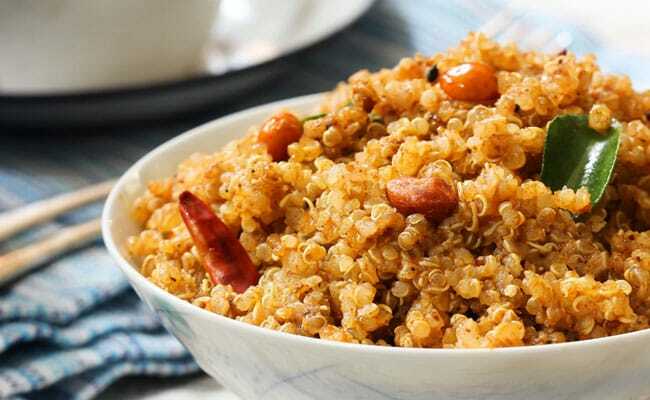 Plant-Based Diet: Quinoa is a healthy vegan option for people wanting to make the switch. But making the switch from a meat-based diet to a strictly vegetarian or vegan diet is easier said than done. For one, you end up eliminating a lot of extremely rich sources of lean proteins like fish, as well as calcium from dairy products like milk, cheese, yogurt, etc. So you might be depriving your body of these essential nutrients, maybe even making it deficient. It's crucial to find healthy alternatives to these nutrients, when you go vegan. Also Read: Deconstructing Being Vegan - Is it Good for You? Learn to love cooking and give yourself time to adapt to the vegan lifestyle. As you get off a meat-based diet, you are bound to initially feel intense cravings. But if you want to successfully make the switch, you must learn to overpower them and you must understand that it is a process. Try finding like-minded people also looking to make the switch. The process gets easier when you have someone share information and resources with. If that looks difficult, you might want to find someone who is already a vegan or a vegetarian for support and help with recipes, product suggestions, etc. Don't get caught up in the 'trendy' aspect of the diet and keep it a secret in the initial days. When you overshare about your lifestyle change, you don't get the time to focus on your goal and instead get more conscious about what others are saying or what they expect you to do. Start with eliminating the meat proteins and slowly replacing them with plant proteins from foods like pulses, tofu, nuts, hemp seeds, quinoa, etc. For calcium, you can opt for mustard green, kale, figs or anjeer, etc. One of the most important things to remember when you go vegan is the health factor of the foods you eat. If you start loading up on high-carb foods like breads, pastas, French fries, you are just going to end up harming your body. Focus on fruits and vegetables and experiment with recipes that are solely dependent on these. Earmark good and dependable vegan and vegetarian food outlets, cafes and restaurants around your home and office. It helps to have a list of these places as it helps you to eat healthy even during an outing, and also helps with ideas for vegan cooking at home. Start visiting farmer's markets every week. When you shop from supermarkets, you are tempted to stock up on unhealthy products. Visiting a farmer's market will expose to more fresh produce, which will encourage to stock up on a variety of fruits and vegetables. Find out vegan recipes for your favorite 'junk' foods. For example, if macaroni and cheese is your go-to comfort foods, you can look for a dairy-free recipe that uses cashews for adding creaminess to the pasta. This makes the transition easier. Don't rely on every store-bought vegan food product as some of these might be hiding saturated fats and processed sugars in them. Instead opt for whole and nutritious foods from trusty local brands, which you know will not cheat you. Always strive for a balanced meal. It's very important to remember that instead of focusing on merely eating vegan or vegetarian, you also need to include all the essential nutrients in your meals. Besides proteins and calcium, focus on meat-free dairy-free natural sources of iron, omega 3 Gs (from sources other than fish) and vitamins, especially Vitamin B12 that promotes healthy brain function. Always remember, you don't have to let go of taste or flavour, just because you decided to go vegan. You can please your palate just as much with a strictly vegetarian diet too.